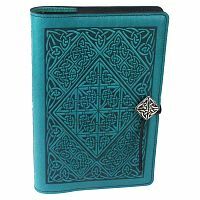 - Celtic knotwork with a diamond-shaped central panel covers the front and back of this impressive journal. Pewter button has matching Celtic knot. 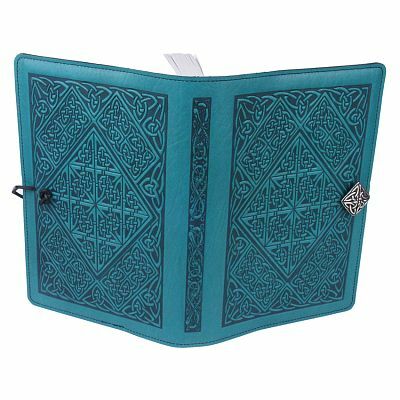 The journal measures 6" by 9". 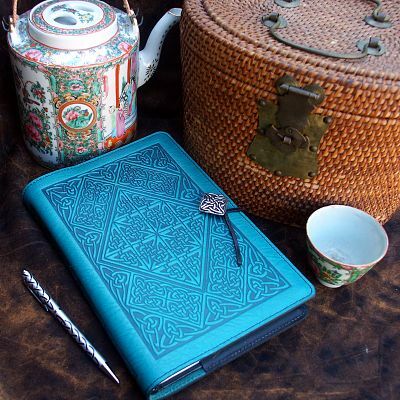 Do you have any other questions about our Large Diamond Knotwork Leather Journal?